Let's Make It 32! - Ninth Circuit Court Strikes Down Marriage Bans In Nevada & Idaho! Home/Featured/Let’s Make It 32! – Ninth Circuit Court Strikes Down Marriage Bans In Nevada & Idaho! Let’s Make It 32! – Ninth Circuit Court Strikes Down Marriage Bans In Nevada & Idaho! Press release from the National Center for Lesbian Rights. I would like to make something clear here. All of this is because of Edith Windsor. HER case in the Supreme Court made the difference. Chad Griffin, Prop 8, HRC, Freedom to Marry, and others cannot and should not try to take or be given any credit for this. It all belongs to Edith Windsor. 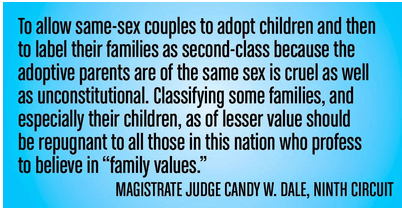 hahahaha Idaho Lambda Legal LGBT rights marriage equality NCLR Nevada Ninth Circuit Court.